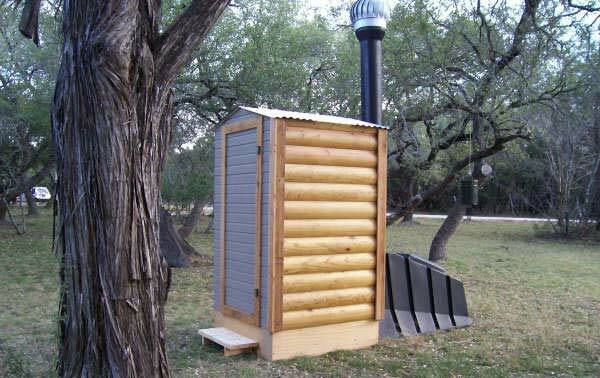 The Enviro Loo (Eloo®) is a great addition to the resources of a National/State/County/ or Municipal Park System. Because the Eloo does not require commercial infrastructure (water, electricity, or chemicals) installation time is greatly reduced. There is no need to run water lines, sewage lines, or electricity connections before installation... resulting in an accelerated construction schedule and small carbon footprint. The Enviro Loo and the Eloo Building (as a kit) is much more cost effective to already restricted park budgets. Park restroom systems that have been used in the past have nice concrete buildings, but nasty, stinky holding tanks for toilets. In addition, you pay a huge cost for the heavy equipment required to off-load, and install these systems. With the Enviro Loo system you have the advantage of placing the restroom exactly where you need it at minimum cost. The Eloo + building kit can be transported in the back of a pickup truck and/or small trailer. The Eloo building is manufactured from materials that do not attract rodents, termites, or mold. Please call us at 866.797.3566 with any questions.